The P12 Martin Jetpack is it's latest, a much more maneuverable design benefiting from a not-so minor improvement in flight stability. The improvements may have led to New Zealand flight regulators issuing the device a flying permit. That said, the permit is limited, and the jetpack may only fly at a maximum altitude of 20 feet above the ground or 25 feet over water. 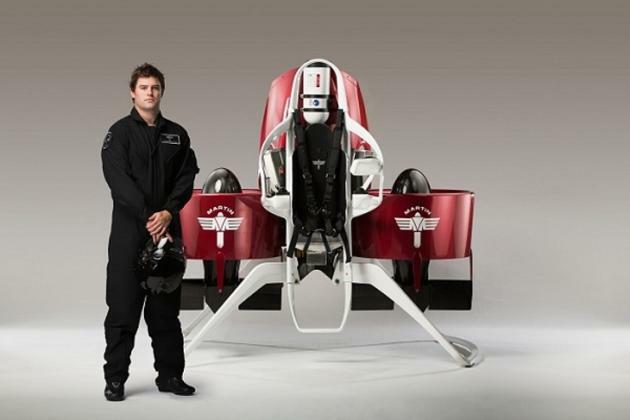 Except when you think about it, the jetpack can actually do 5,000 feet, as it's done before. Though you'll less likely want to do that to avoid being the bird in the sky that hits the plane. Martin Aircraft Company's recently-appointed CEO Peter Coker has plans to offer a military and first-responder version of the vehicle for sale by next summer. Civilian models are to follow in late 2015. Just spend $200,000 and it's yours. Yup. Just $200,000.